Were Hedge Funds Right About Flocking Into The Progressive Corporation (PGR)? Hedge fund managers like David Einhorn, Bill Ackman, or Carl Icahn became billionaires through reaping large profits for their investors, which is why piggybacking their stock picks may provide us with significant returns as well. Many hedge funds, like Paul Singer’s Elliott Management, are pretty secretive, but we can still get some insights by analyzing their quarterly 13F filings. One of the most fertile grounds for large abnormal returns is hedge funds’ most popular small-cap picks, which are not so widely followed and often trade at a discount to their intrinsic value. In this article we will check out hedge fund activity in another small-cap stock: The Progressive Corporation (NYSE:PGR). The Progressive Corporation (NYSE:PGR) investors should be aware of an increase in activity from the world’s largest hedge funds recently. PGR was in 48 hedge funds’ portfolios at the end of December. 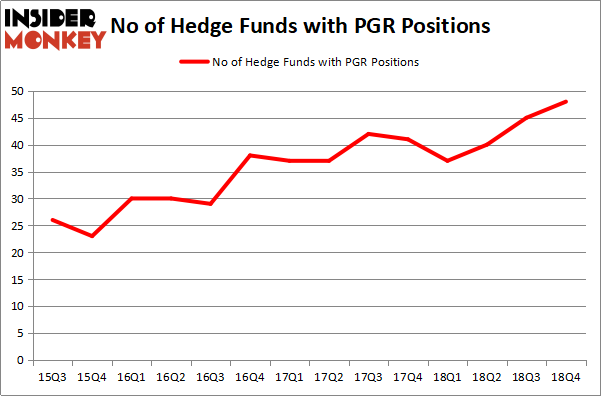 There were 45 hedge funds in our database with PGR holdings at the end of the previous quarter. Our calculations also showed that PGR isn’t among the 30 most popular stocks among hedge funds. We’re going to view the latest hedge fund action encompassing The Progressive Corporation (NYSE:PGR). At the end of the fourth quarter, a total of 48 of the hedge funds tracked by Insider Monkey were bullish on this stock, a change of 7% from one quarter earlier. Below, you can check out the change in hedge fund sentiment towards PGR over the last 14 quarters. With hedge funds’ capital changing hands, there exists a select group of key hedge fund managers who were increasing their holdings meaningfully (or already accumulated large positions). The largest stake in The Progressive Corporation (NYSE:PGR) was held by Renaissance Technologies, which reported holding $472.5 million worth of stock at the end of September. It was followed by Citadel Investment Group with a $278.7 million position. Other investors bullish on the company included AQR Capital Management, Viking Global, and Two Sigma Advisors. Consequently, some big names have been driving this bullishness. Stevens Capital Management, managed by Matthew Tewksbury, established the largest position in The Progressive Corporation (NYSE:PGR). Stevens Capital Management had $24.4 million invested in the company at the end of the quarter. Ray Dalio’s Bridgewater Associates also initiated a $7 million position during the quarter. The other funds with brand new PGR positions are Louis Bacon’s Moore Global Investments, Steve Cohen’s Point72 Asset Management, and Ben Levine, Andrew Manuel and Stefan Renold’s LMR Partners. Let’s also examine hedge fund activity in other stocks – not necessarily in the same industry as The Progressive Corporation (NYSE:PGR) but similarly valued. We will take a look at Air Products & Chemicals, Inc. (NYSE:APD), Workday Inc (NASDAQ:WDAY), Carnival plc (NYSE:CUK), and Baxter International Inc. (NYSE:BAX). This group of stocks’ market caps are similar to PGR’s market cap. As you can see these stocks had an average of 27.75 hedge funds with bullish positions and the average amount invested in these stocks was $1302 million. That figure was $2178 million in PGR’s case. Air Products & Chemicals, Inc. (NYSE:APD) is the most popular stock in this table. On the other hand Carnival plc (NYSE:CUK) is the least popular one with only 8 bullish hedge fund positions. Compared to these stocks The Progressive Corporation (NYSE:PGR) is more popular among hedge funds. Hedge funds clearly love this stock as hedge fund sentiment towards PGR is at an all time high. Our calculations showed that top 15 most popular stocks among hedge funds returned 19.7% through March 15th and outperformed the S&P 500 ETF (SPY) by 6.6 percentage points. Hedge funds were also right about betting on PGR as the stock returned 26.7% and outperformed the market as well. 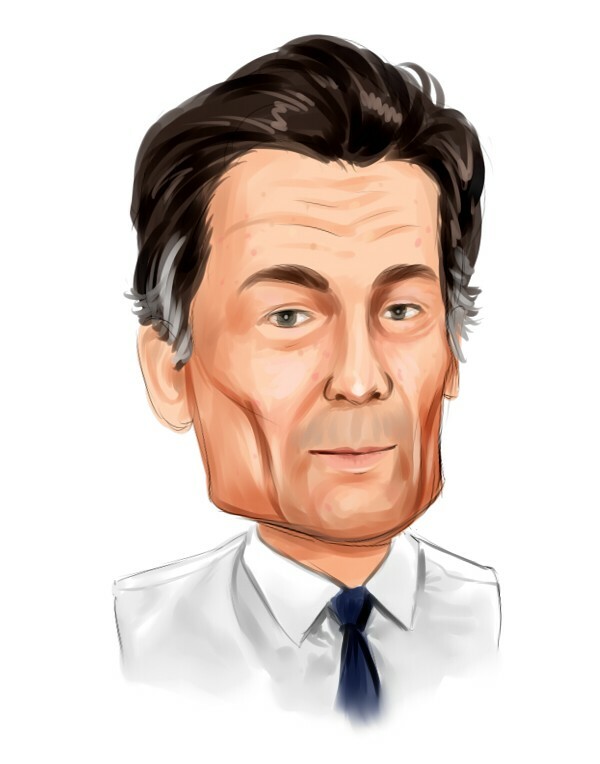 Is Illinois Tool Works Inc. (ITW) A Good Stock To Buy? Were Hedge Funds Right About Getting Into Bank of Montreal (BMO)? Were Hedge Funds Right About Selling Northrop Grumman Corporation (NOC)? Were Hedge Funds Right About Ecolab Inc. (ECL)? Is Vertex Pharmaceuticals Incorporated (VRTX) A Good Stock To Buy? Were Hedge Funds Right About Dumping FedEx Corporation (FDX)?